Helps baby learn to identify & sort shapes & colors. 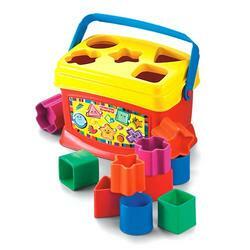 Enhances problem-solving skills with put & take play, stacking & sorting. Encourages creative thinking as baby discovers new ways to play with blocks. Bright colors & interesting shapes intrigue baby. 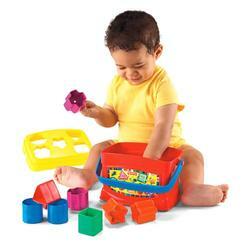 Placing blocks in bucket strengthens eye-hand coordination. 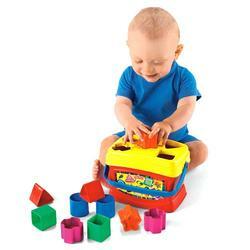 Grasping & sorting blocks develops finger & hand dexterity.